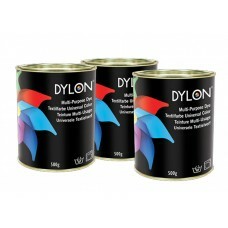 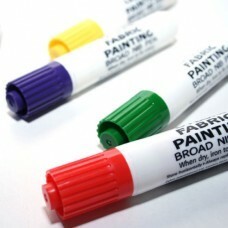 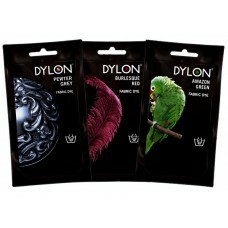 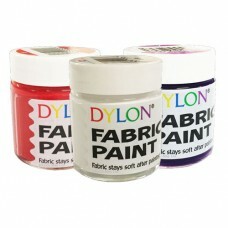 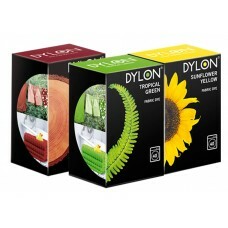 Dylon Soft Fabric Paint.Unlike other fabric paints and pens, Dylon's remain soft even when dry. 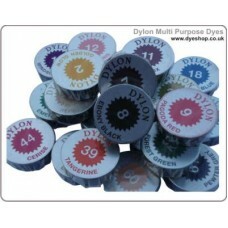 They..
Dylon Fabric PensIt's easy to add a personal touch to T-shirts, jeans, blouses etc with Dylon Fabric..
DYLON Fabric Dyes for hand use are perfectly suited for smaller items like shorts, vests or socks, a..
Dylon Fabric Dye for Machine UseNow with added salt.Bright and beautiful to rich and intense shades,..
Multi-Purpose Dye is ideal for dyeing costumes and props for all types of theatrical productions.Ver.. 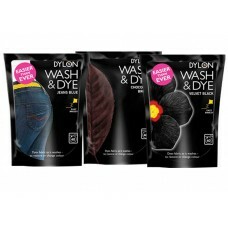 These 4.5g tins will dye up to 250g or 8oz of dry weight fabric.This product is now discontinued by ..
Dylon Wash and DyeBreathing new life into a faded top or old pair of jeans has never been so easy-wi..